Premenopause is a term loosely used to refer to the time before a woman enters menopause, including perimenopause, that can span months or even years. During this time hormonal balance naturally shifts. Senior Herbalist, Elizabeth Willett, originally offered this talk about pre-menopause live. Download the Instagram App to watch our live broadcasts! The majority of the above causes do not indicate your days of being able to conceive are over (with premature menopause being the possible exception). They mean that there is “work to be done”! They indicate the need for dietary and lifestyle changes. What can be done about hormone levels that are menopausal, when a woman isn’t old enough to be in menopause? 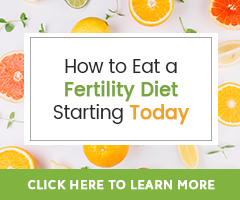 How can healthy hormonal balance be supported through these natural fertility health transitions? 1. Make sure You are a part of your fertility health program. Love yourself! 2. Create a team to support you. The best way to achieve healthy fertility is to have support. 3. Include symptom relief as part of your program. While natural therapies can take time to help the body achieve optimal health and correct imbalance, many can also work quickly to reduce troublesome symptoms. 4. Include natural therapies in your natural fertility program. 5. Chart your cycle to track for ovulation. 6. Consider all of your options! Think about the other paths to parenthood available to you. To close, I want you to have hope! Women can still become pregnant when in premenopause and perimenopause because regular ovulation may continue. Now more than ever is the time to enlist natural therapies to support you, change your diet, boost egg health, enlist the support of both natural and medical healthcare professionals to guide you and don’t forget to also advocate for yourself on your journey to conception.